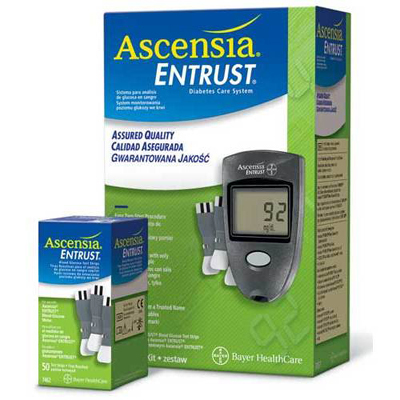 Bayer's Ascensia Entrust Glucometer - Self-testing products helps people with diabetes to successfully manage their disease both at home and on the go. Ascensia brand blood glucose monitors make testing easier and less painful with products that offer alternate site testing and require smaller blood samples. Accurate Results with only 3 Microliter Samples.